The compact and versatile R.F. 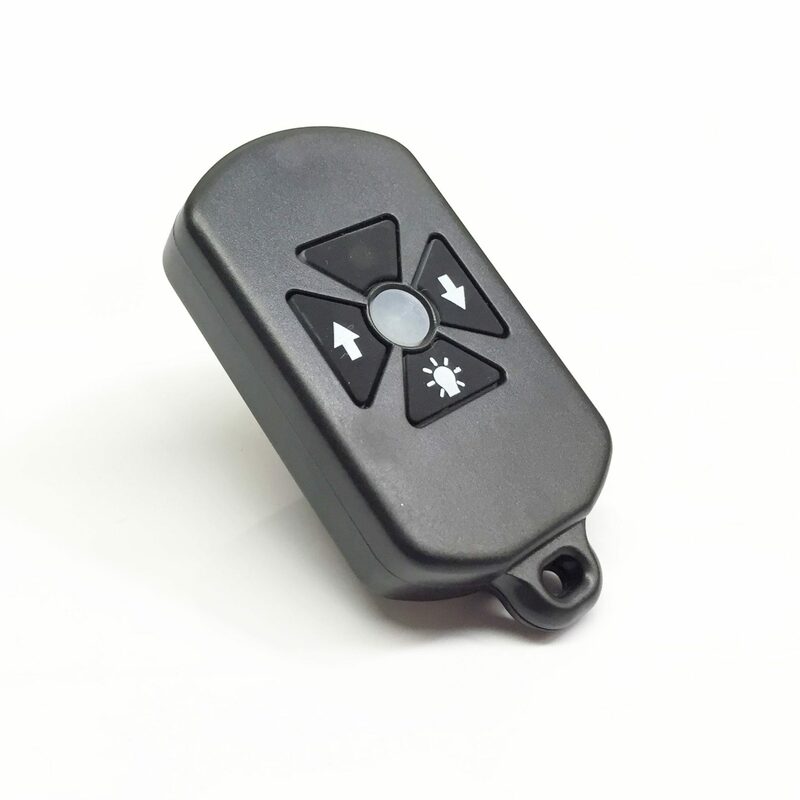 Remote Control can be configured for either momentary or latching operation. 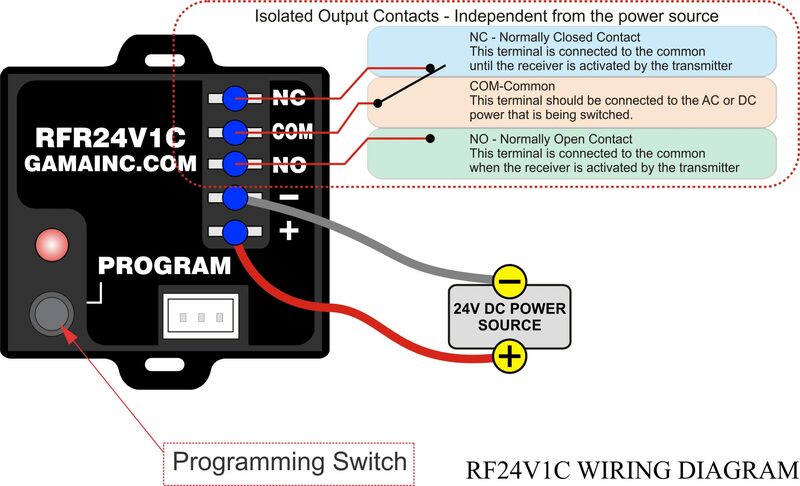 This control provides both a normally open and a normally closed relay contacts. 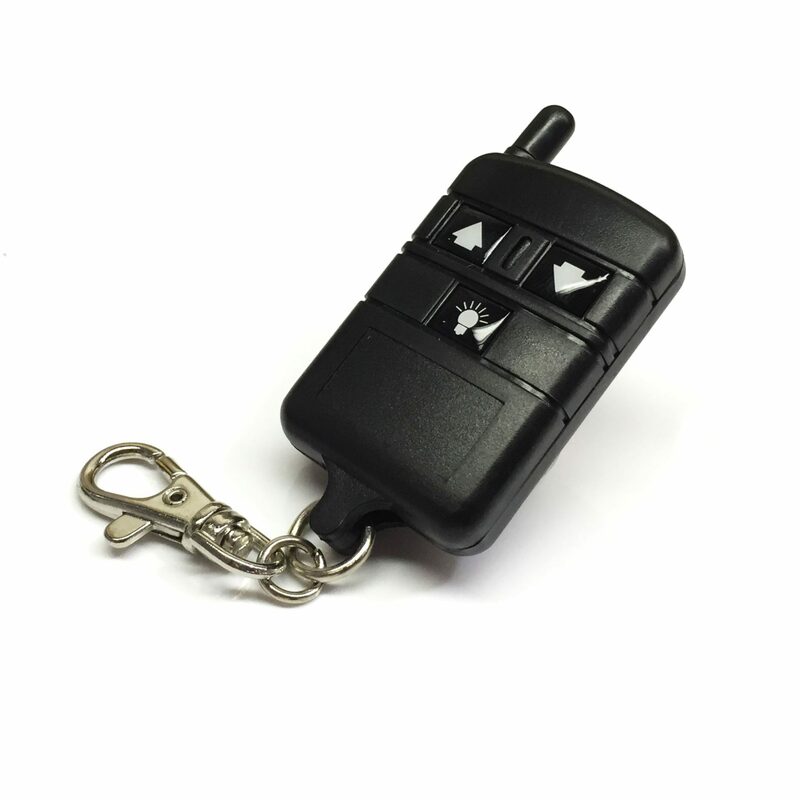 The keyfob transmitter has two buttons. The left button is used for momentary operation. Both buttons are used if the latching function is enabled. The input voltage is 24VDC and is reverse polarity protected. 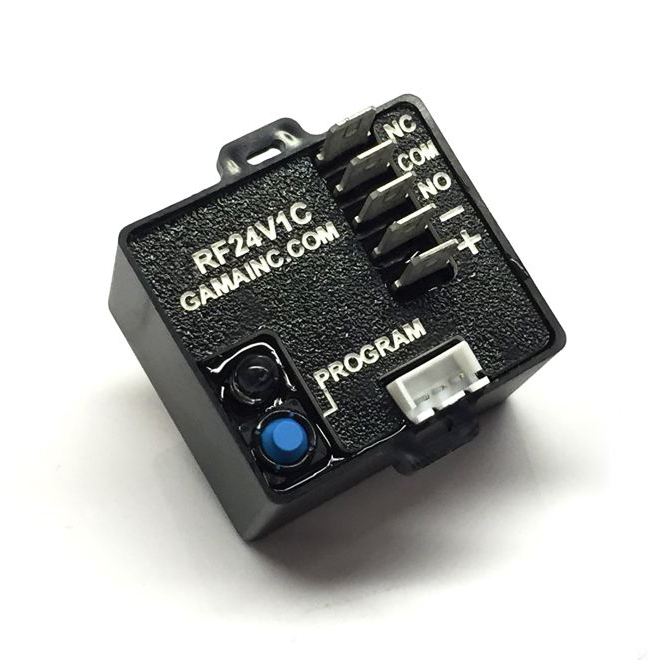 The relay contacts are electrically isolated from the DC inputs. 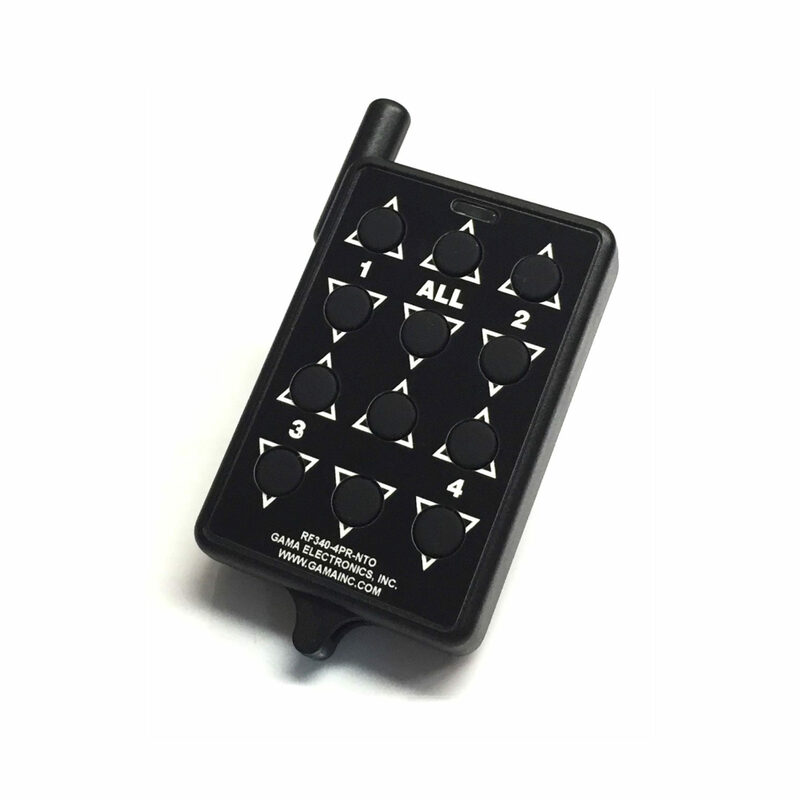 The relay contacts are rated at 10 Amps @ 30VDC or 120/240VAC. There are five 1/4″ terminals for the connections. Transmit range is greater than 100 feet under normal operating conditions. FCC approved. Proudly made in the U.S.A. Input voltage is 24VDC and is polarity protected.